I set a goal this year to summit 25 different mountains. I’ve spent a lot of time on the trails since New Years’, but I only climbed up one mountain in all of January. It’s time to get back on track. 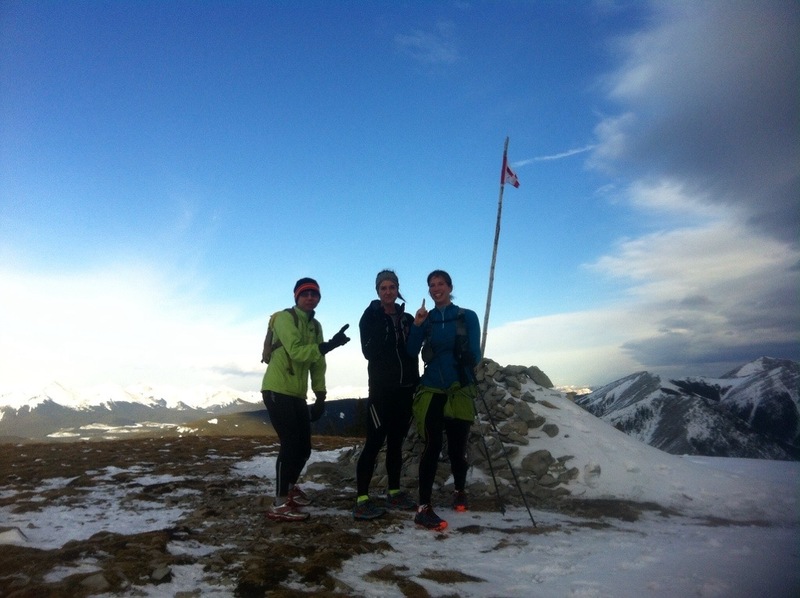 On Friday I recruited some friends and reached my second summit of the year – Prairie Mountain. It was so much fun that we decided to go up and down 4 times, just to put an exclamation point on it. The first repeat took 77 minutes and we were feeling fresh. The second trip took 80 minutes, everyone was very impressed with the steady pace. We had budgeted for 6-8hrs total run/hike time so we were well ahead of schedule. The four of us stopped off at the cars to refill our water bladders and grab some snacks. I inhaled 1/2 a bag of chips and several Twizzlers. People often ask me what I eat when I run … I’m embarrassed to tell them. I grabbed some Twizzlers for the road and we headed off on our third trip up the mountain. This one was a lot harder. We met some friends on our way up and we were happy to stop and talk. Despite our tired legs we were all in good spirits, I think my friend Alan even mentioned trying for a 5th repeat. The rest of us quickly declined the invitation. The sun softened the snow and the descent got more and more slippery. We took our time getting down safely, we were out there to have fun, not get injured. With the assistance of spikes and poles we all managed to get through the day without wiping out. Success! 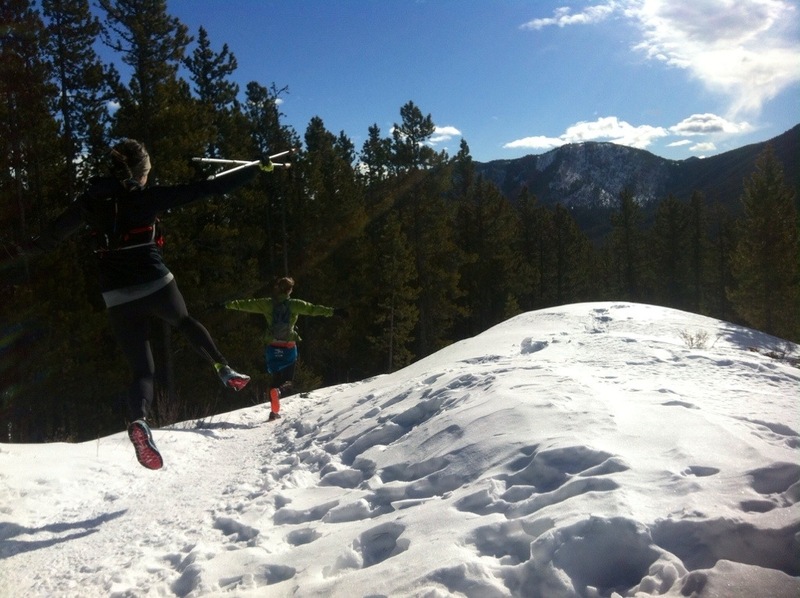 Here’s Emily and Kim dancing along one of the flatter sections, what a glorious day! Our 3rd trip took a little over 90 minutes. Just one to go! The entire trip took us just over 6 hours. When I checked the GPS for our time without stoppage it was 4.5 hrs. We were all pretty excited about that pace. There is talk about doing 8x Prairie next year, I’m not sure I can count that high. I was really encouraged by this workout. I haven’t been doing a lot of long runs, and I was starting to worry that I was losing endurance. 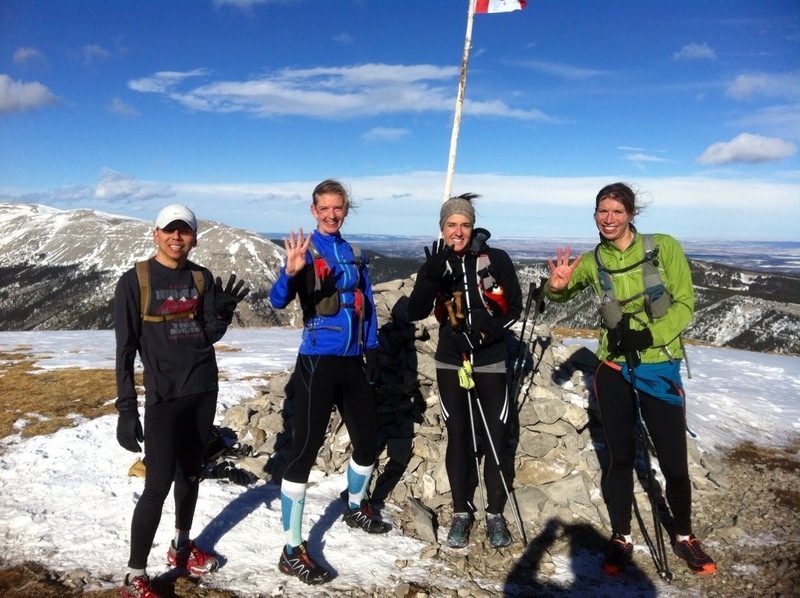 I finished the 4th repeat feeling strong and my recovery from the days’ adventure was fast. I played an Ultimate Frisbee match Saturday evening and I ran nearly 30km on the roads on Monday with very little soreness. 6 weeks until Gorge Waterfalls, I can’t wait to get off the snow and feel dirt under my feet! This entry was posted in Uncategorized on February 20, 2014 by joannaruns.